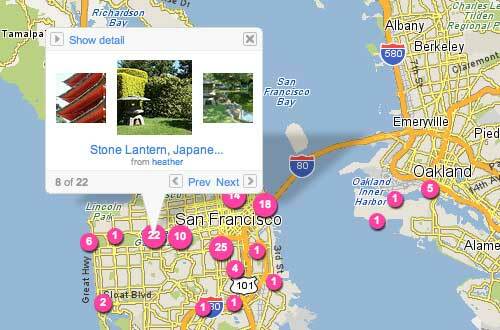 Flickr has integrated it’s Photo feature with Yahoo Maps. I’ve selected a few photos by dropping them on a map at Hitachi Data Systems. Stewart has posted more details from the official Flickr Blog. Ian from Yahoo has some additional info about Upcoming.org and maps. I’m watching Thomas Hawk as this is a space that Zooomr has been in already –Zoomr will be one of the companies presenting at the Web Expo at Lunch 2.0. Folks are already using Flickr for Marketing such as events, people, companies, and products, this will add yet another level of richness –more to come on this soon.